April Vidal. Photo by Ashley Bee. 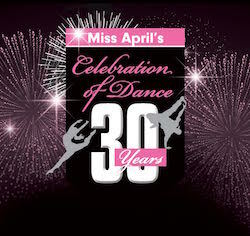 Miss April’s Dance is celebrating 30 years as a program in the Parks and Recreation Department in Murrieta, California. 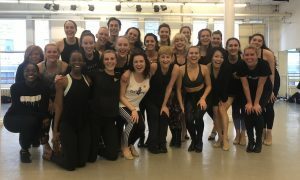 April Vidal spoke with Dance Informa to look back and share some dreams for the program’s future. The program’s tagline is “We put Dance in Your Pants”, and Miss April’s contagious enthusiasm has been able to do just that for three decades. What inspired you to open Miss April’s Dance? What are some of the core values you embrace that have led to the success of your program? Miss April’s Dance. Photo by Michael Bungenstock. How did you establish a working relationship with Murrieta’s Parks and Recreation Department? 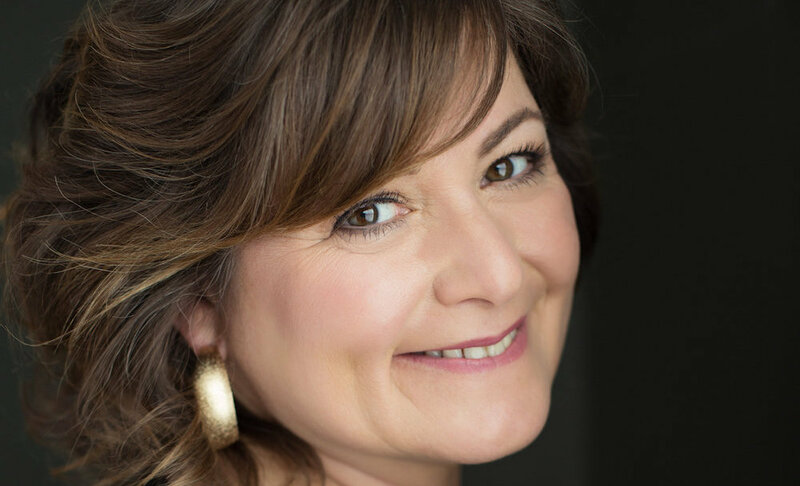 “When my husband and I moved to Murrieta with two small children in 1989, we had come from previously teaching at other parks and recreation facilities. My husband, Darryl Vidal, a martial artist who was the stunt double for Pat Morita in the original Karate Kid and plays himself in the tournament scene against Johnny, and I loved Murrieta, and sought out the Parks and Recreation Department here. Murrieta was not yet a city, and we were referred to as CSA 143. My husband and I spoke to the City Manager at the time and decided to help start their programs by being the very first teachers! 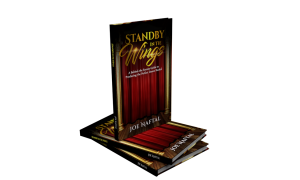 Many thereafter have used our classes and programs as a model for sessions, prices and set-ups. Thirty years is a long time. Have you taught lots of siblings and children of former students? “Yes, 30 years is a very long time, considering I started teaching on my own 38 years ago total. Our classes have had many siblings. In fact, I have some third generations due to very young parents. I have taught my own four children, their classmates and friends, now their children, and even some of their children! One funny story that sticks out to me is many years ago, I had a class with triplets in our ballet morning class. I would always have to mark them with stickers or name tags because I just couldn’t get their names correct! Eventually, I learned them, then they moved out of state! Oh well, it was a great exercise in memory. A second favorite moment that comes to mind is my 25th anniversary. I invited every dance instructor back and gave them all bouquets of flowers on stage at our finale. It was amazing! What about training dancers has changed in the 30 years of your program? 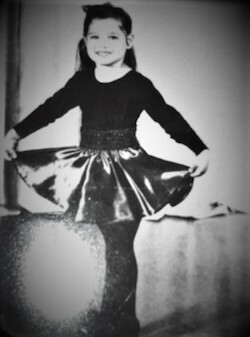 April Vidal at age four. Photo courtesy of Vidal. Your program builds community through affordable and short lessons that allow a student to dance while having time to study and continue in pursuit of other endeavors. How do you stay true to these goals? You say you endeavor to encourage every student to smile, do his/her best and walk with a sense of accomplishment and pride. What does this look like in practice? How do you instill Miss April’s Dance values into your employees and their relationships with your students and their families? Why is it important for you that opportunities exist for parents to become involved in the program? What benefits do you see for students who train at Miss April’s Dance? What’s next for Miss April’s Dance? What else would you like to share about Miss April’s Dance? For more information on Miss April’s Dance, visit www.facebook.com/Danceinyourpants.